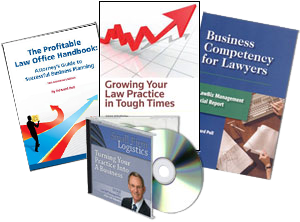 Ed Poll is pleased to offer this special product package designed to provide attorneys with the tools they need to survive in tough economic times. 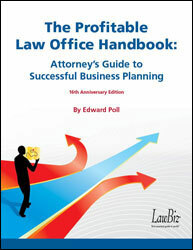 Full of invaluable information and advice, this limited-time LawBiz® offering has everything a lawyer needs to start – and grow – a successful law practice. 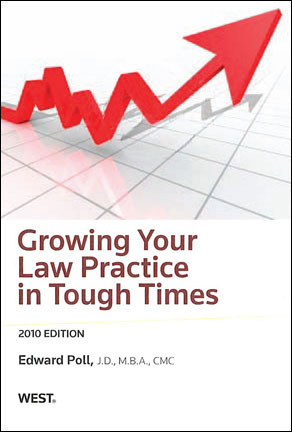 Ed believes that lawyers need to learn to think more like entrepreneurs and act more like business managers–two skills not taught in law school. 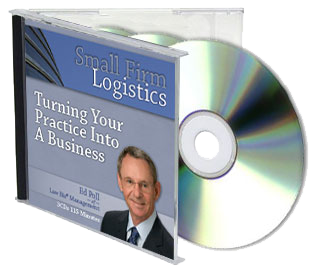 Success lies in identifying and capturing the right kinds of clients, providing the services those clients need in ways that add value, and ensuring prompt payment and the ability to grow profits.